is it worth updating to Windows 10 as a developer? Now that windows 10 is out, I thought it might be a good idea to take a look at what it brings and whether as a developer it’s worth updating. So taking time out from developing our Java PDF Library and PDF to HTML5 Converter I have updated my PC to Windows 10 to see what it has to bring to the table. As we know, Microsoft has always charged for an upgrade. This time Microsoft has decided to give out a free upgrade. This upgrade is going to be available for the first year free of charge. This means you have one year to claim the upgrade, which will then work forever. 2. A Built in Package Manager.. Most Linux users are use to a package management system. Windows 10 comes with a built in native windows tool “OneGet”, which works with package managers in PowerShell. 3. Can I develop Java on Windows 10? Unsurprisingly, writing Java applications for Windows 10 is no different to developing Java Applications on Windows 7, 8 and 8.1, Vista, OS X or any other operating system. I’ve seen issues with cross-platform compatibility in Windows 10 with earlier versions of Windows applications. Similar issues are in OS X. There are a few odd bugs here and there. If you’re interested in developing apps for Windows 8, though, you’re out of luck – there is no Java support for apps, and no plans to add it although you can soon port Android apps to Windows 10/Phone. Windows 8 start menu was a big disappointment. Lets not even call it a start menu, lets say “full Screen”. If you are on windows 7, this will not be a major improvement but for users who are on Windows 8, this is a huge improvement as Microsoft has decided to bring us back our well known old start menu even though it’s not the same as Windows 7 and Earlier but has the same concept. Windows 10 comes with a SIRI like digital assistant called Cortana which will be on all windows 10 devices. If you’re an IOS user then this isn’t new to you but for Windows users, this is a huge upgrade. Basically you ask Cortana some questions and you get answers back. Great if you’re doing some research for articles or information on stack overflow. I personally think this is massive upgrade for Windows users especially for us developers. Mac users enjoy the ability to switch in between different screens. Now with the Windows 10 upgrade, users have the ability to create different virtual desktops and switch between screens at any point in time. My colleague Alex makes great use of this in Web Development and Marketing. Sometimes Developers like to game. Windows 10 is going to be tightly integrated with XBox One. This means not only, can you stream your XBOX games to windows 10 devices but you can also play with people on Windows 10 devices and vice versa. Great if you want to game during your lunch break. 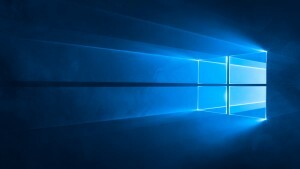 Microsoft has removed the ability to turn off automatic Updates in Windows 10 (unless you’re a Windows 10 Pro user) This is not very great for developers as they will sometimes find their software breaks or becomes incompatibility because of an upgrade. Unfortunately Microsoft had decided to drop Windows Media Center from Windows 10. There are 3rd party alternatives though such as Modern Apps like Netflix, KODI (formally XBMC), PLEX, etc. Many developers like using multiple monitors. They Windows 10 continues where Windows 8 started off and allows you to have a task bar on each screen, which can display either all of your open applications or just those on that screen. There have been fixes for screens with different DPIs and improvements to the way apps are handled. Is it worth updating? Maybe, maybe not. Its entirely down to your preference but I think its well worth the update from 8.1 to 10. Hopefully you have found this article useful. Let us know what you think of Windows 10 and if it has affected your development. On 1: You can put the deadline date here for the upgrade, which is 29 July 2016, and maybe mention that the upgrade is available only for users that owned at least Windows 7 previously. I think they thought well here: put the normal Start menu back, which, I would say, 90% will prefer on non-touch devices, and keep the full-screen option as a feature in the Action Center. On 6: Finally! I was thinking about the multi-desktop feature since I was using Windows 7. There it is! On 8: As far as I know, even in Windows 10 Pro there is not an option to disable the automatic updates from the settings, where a not-so-techy user might want to go. I remember there’s a setting in the Group Policy that can stop the updates, but not available in Home edition. Another trick is to activate the “Metered Connection” option, which will stop downloading automatically the updates. Another straight-forward option is to go directly to Services and disable Windows Update, but this stop any updates from being installed, even the critical ones. As a final thought, my opinion is that the upgrade is worth doing, no matter the version of Windows you currently have. Two main reasons: first, you’ll have the latest features, software and performance improvements (yes, even a 2 GB RAM, C2D laptop will run quite well); and second, Microsoft are planning together with Intel to design processors that will run only Windows 10 (or newer, of course). If this is coming in some years, a laptop without Windows 10 will be considered either an old machine or piece of art! So, overall, the post is interesting and very useful, containing the elementary information any Windows developer (or even user) should know. Thank you, Ernest!